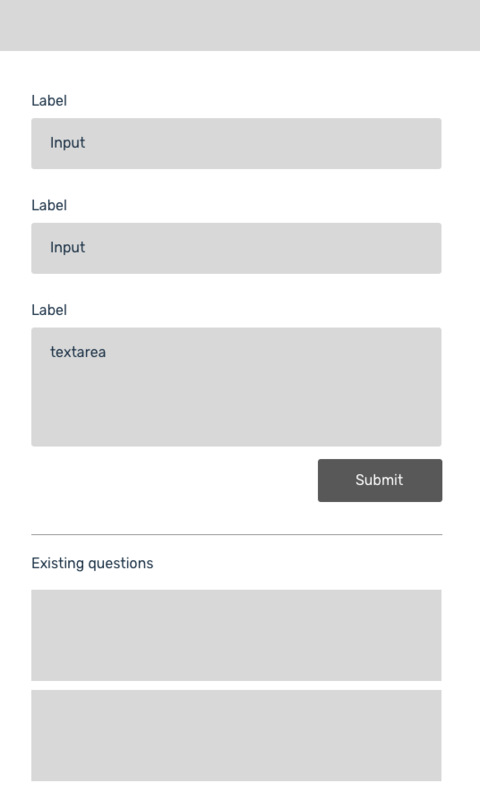 I have a form in a mobile layout. This poses a bit of a UX issue in that the items could show below the fold and go completely unnoticed. I don't want to encourage duplication, but I don't want to annoy my users by making the suggestions front and center either. Does anyone have any ideas of where would be a good place to show suggestions in mobile? Have it show up as a scrollable drop-down menu. you can make it's height as responsive (e.g. 10% of height), this way it never goes beyond the screen. Make sure the user understands that they can scroll down the list. Use some sort of indicator to show that there's more, or even have the scrollbar flash (slowly, and once only) so that the user understands that they can scroll the list. You can also only show only the top 10 for example. Not the answer you're looking for? Browse other questions tagged forms mobile popup or ask your own question. How to simplify an iPhone share screen?